Cooper Webb wins his third Main Event of 2019!! 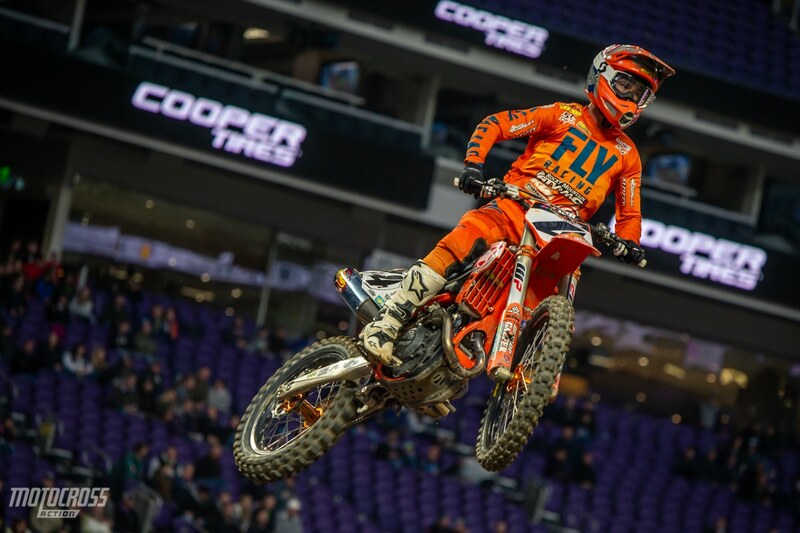 Cooper Webb wins his third main event of the 2019 Monster Energy Supercross season in Minneapolis! 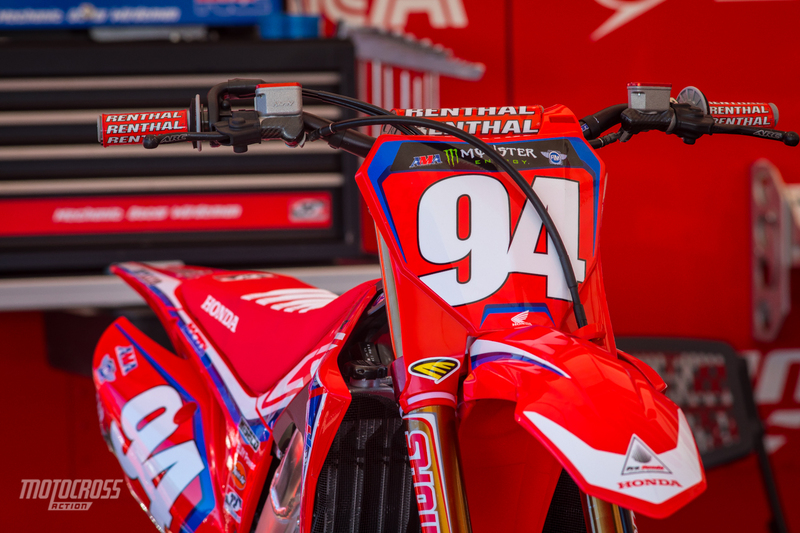 Ken Roczen finished third with Eli Tomac in sixth. 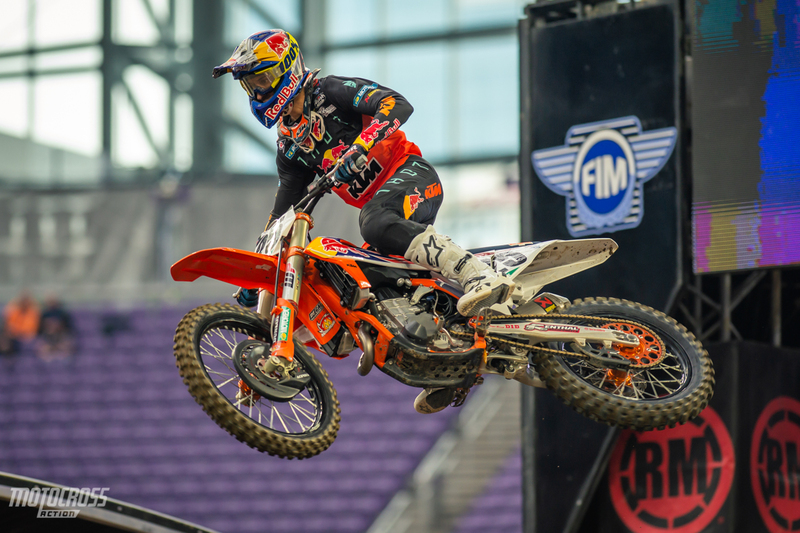 From the stands, the track in Minneapolis didn’t seem as difficult as the first five rounds of the season. There weren’t very many passes going on at the front of the race, but that doesn’t mean it lacked any excitement! We were holding our breath and waiting to see who would make a move first. 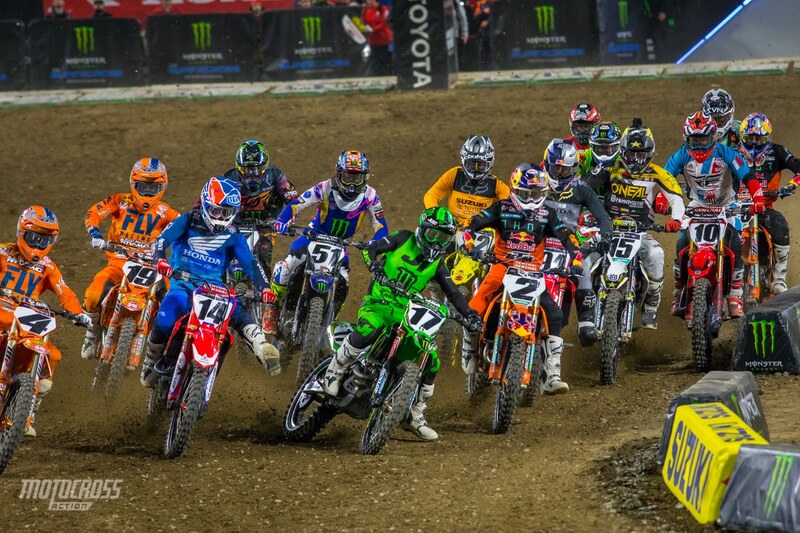 Cooper Webb was all over Joey Savatgy, Ken Roczen was all over Cooper Webb and Blake Baggett was all over Roczen! 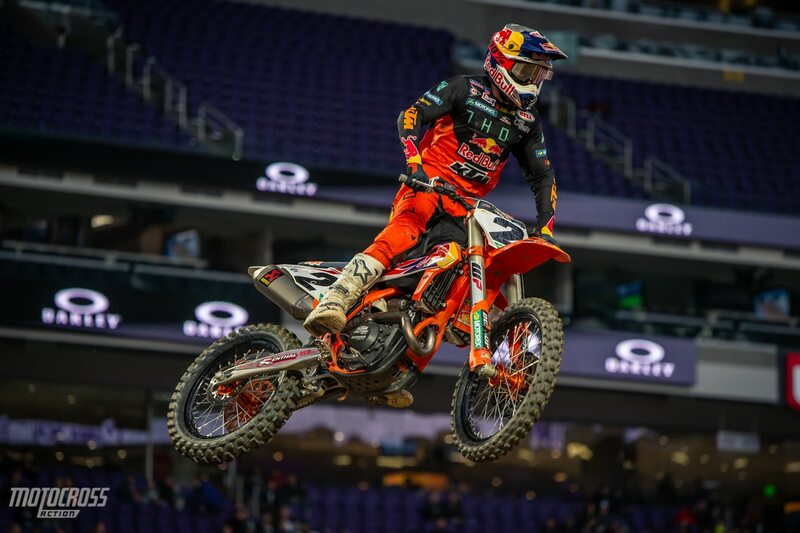 We are very pleased with how the 2019 Supercross season is going. Now the Championship has tightened up even more. The top four in the Championship standings are only separated by two points! Roczen has 125, Cooper Webb has 124 and Eli Tomac and Marvin Musquin are both tied with 123 points. Cooper Webb was second on the first lap behind Joey Savagty and he pressured Joey until lap fifteen when he made the pass and pulled away. 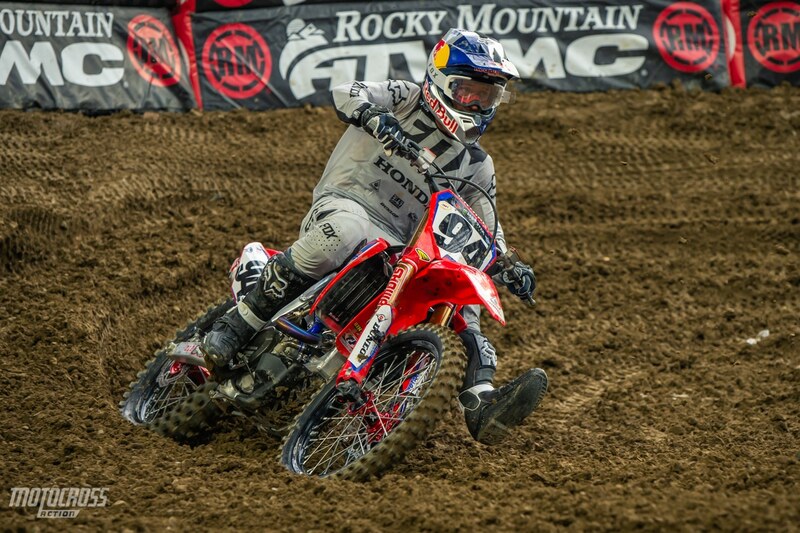 Ken Roczen ran third for most of the main event, right behind Cooper Webb. 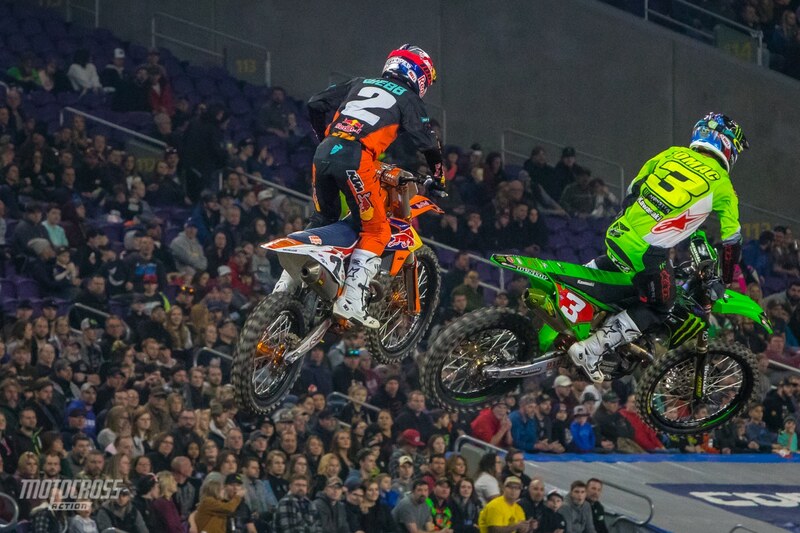 Cooper passed Savagty and then Roczen made it around him also to finish second. 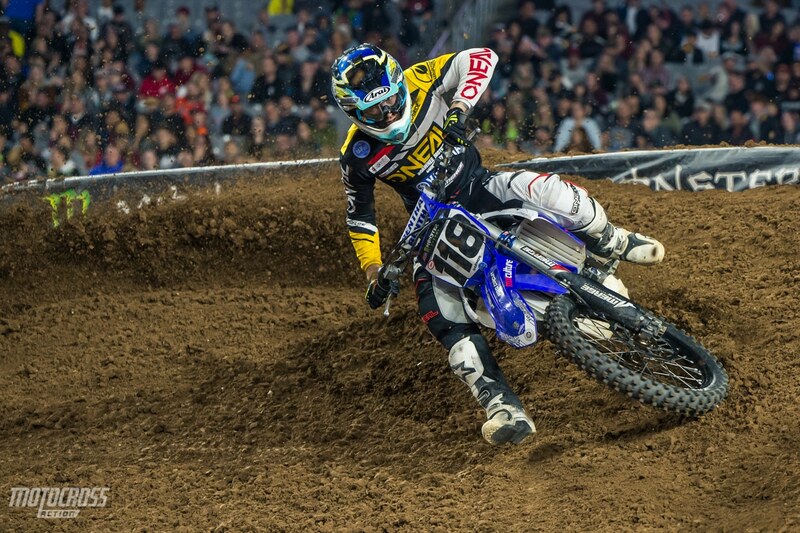 Joey Savagty led the 450 main event for fifteen laps before Cooper Webb made the pass. Savagty fell back to finish fourth. 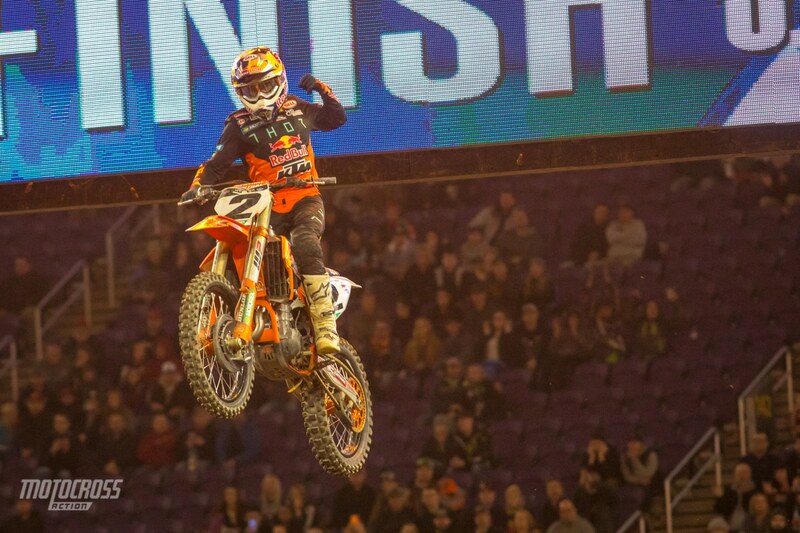 Although Marvin Musquin had a rough heat race, he made some good passes in the main event to end up on the podium. Blake Baggett was riding great all race but a big crash with two laps to go would cause Blake to DNF. We’re happy to report that Blake got up quickly and walked off of the track under his own power. 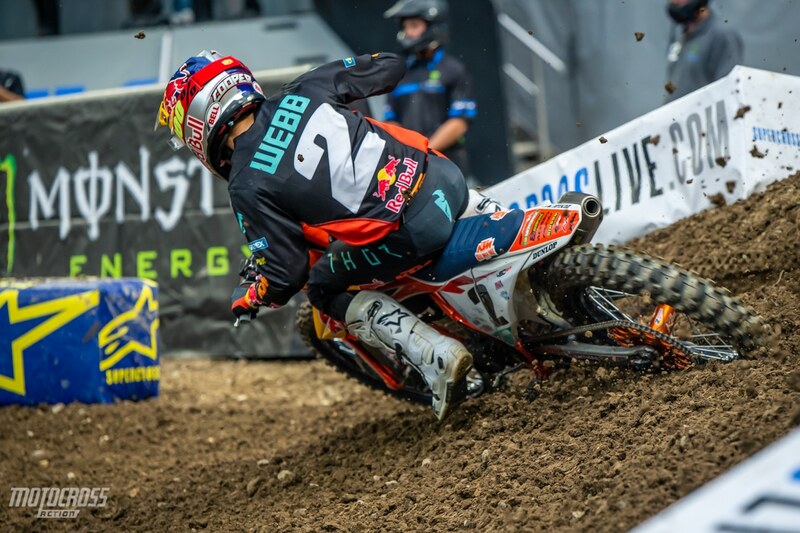 Ken Roczen still hasn’t won a race in 2019, but he has the 450 points lead again by just one point over Cooper Webb who now has three wins. Cooper Webb sits second and Eli Tomac third in the 450 Champioship point standings. Cheyenne Harmon wins the 450 LCQ with Aj Catanzaro finishing second, Casey Brennan third and Daniel Herrlein fourth. The top four qualified for the main event while Tyler Enticknap and the rest of the 450 riders behind him will have to try again next weekend. Cheyenne Harmon won the 450 LCQ and transferred to the main event here in Minneapolis. 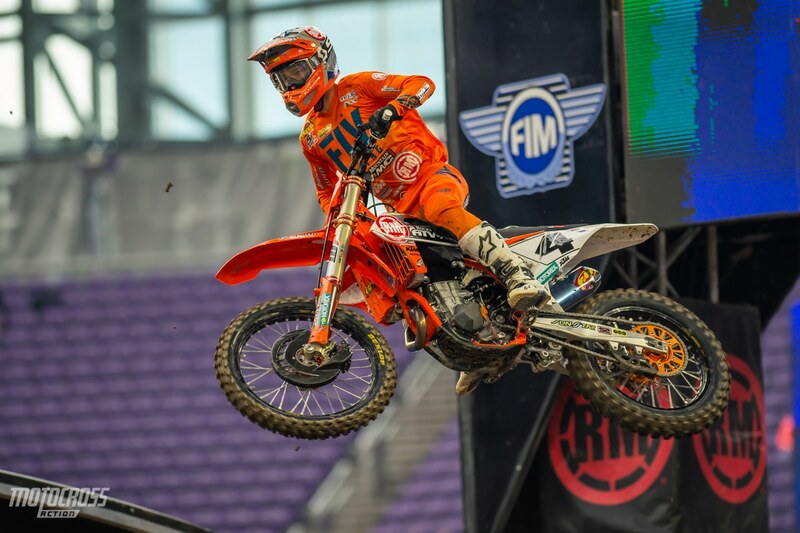 Aj Catanzaro finished second in the 450 LCQ. Justin Brayton won the second 450 heat race of the night. 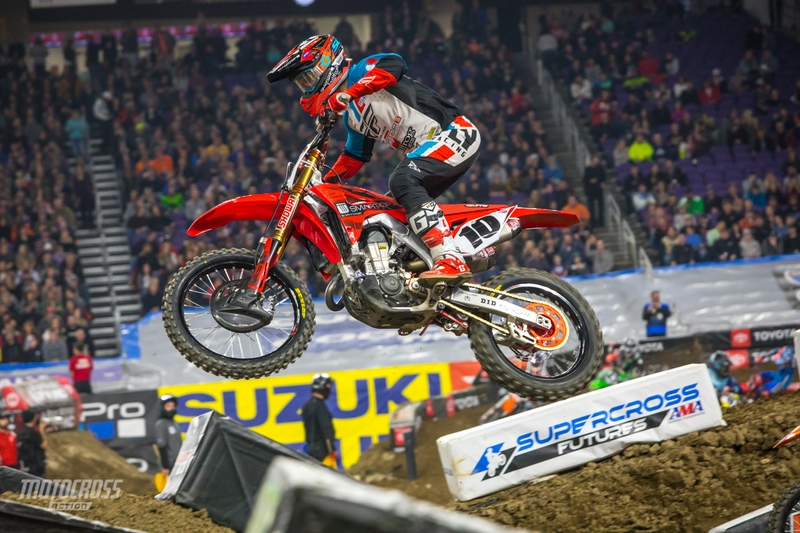 Justin Brayton won his second heat race of the 2019 Supercross season while Justin Barcia finished second. Barcia fought his way through the pack and Bogle went backwards to fourth and Marvin Musquin crashed twice before finishing eighth. 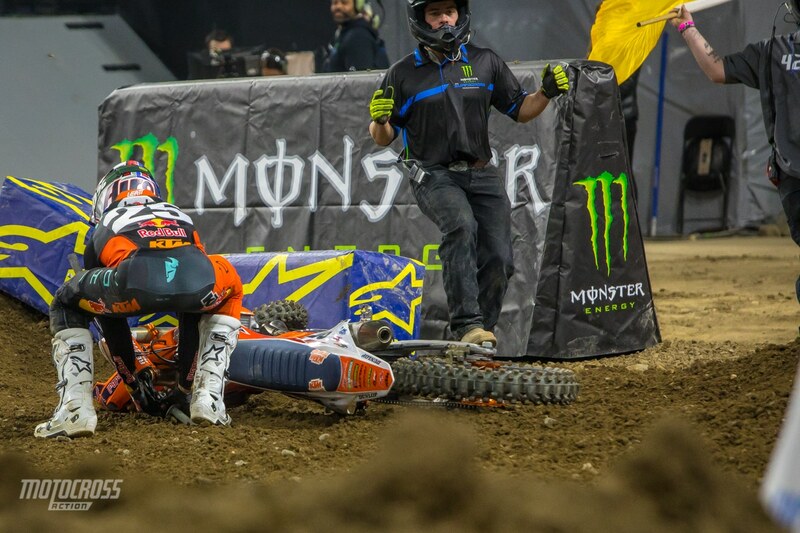 Marvin Musquin had a rough heat race. While running second, Marvin went down in a corner. He got up quickly and was in fifth before he went down again in the exact same spot on the very next lap. Once again, Marvin picked his bike up quickly and finished eighth. 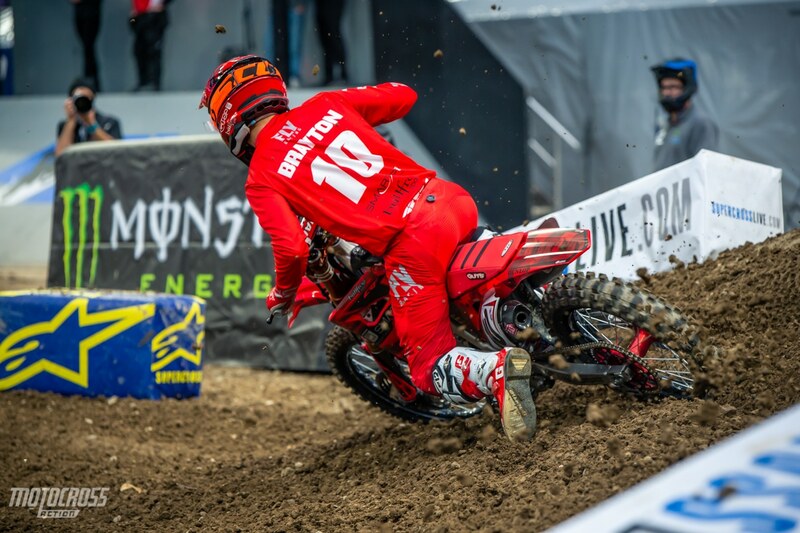 Justin Brayton battled his way passed Justin Bogle to win the 450 heat race. 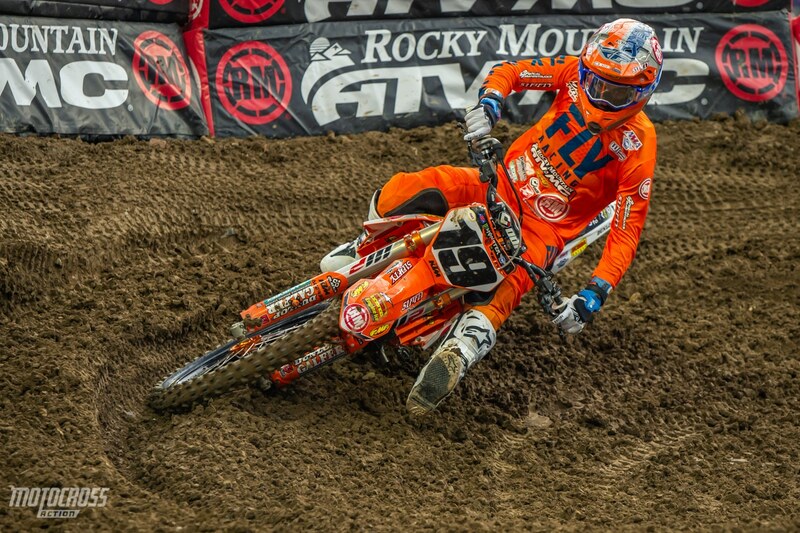 Blake Baggett was riding well, he finished fifth in the heat. Justin Bogle grabbed the holeshot and battled at the front before falling back to fourth place. Cooper Webb won the first 450 heat race of the night. Cooper Webb grabbed the holeshot in the first 450 heat race of the night. Eli Tomac and Ken Roczen were right behind him on the start and it looked like they were going to get around Cooper but he was able to hold them off. 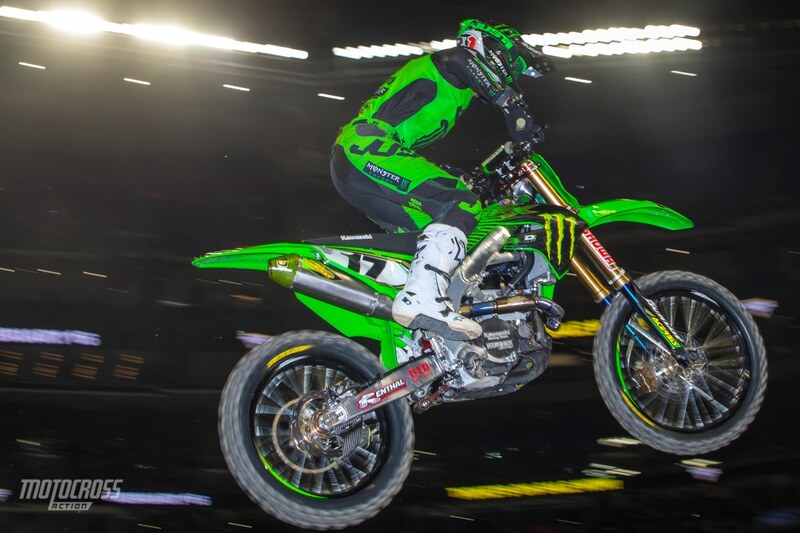 Tomac even got up next to Webb across the finish line, but Cooper had the inside line coming into the next corner and he shut the door on the points leader. Cooper stated in his podium interview that the track is breaking down every lap and he believes it will be a rough and rutted track for the main event tonight. 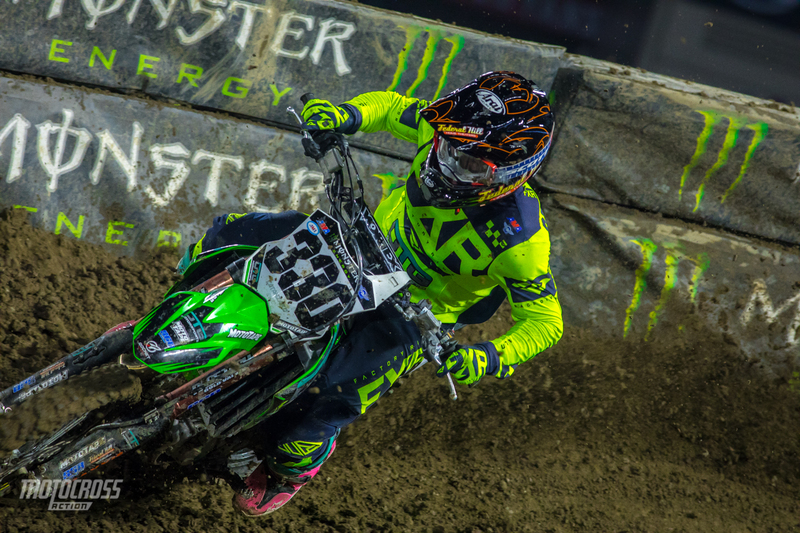 Cooper held off a hard charging Eli Tomac in the first 450 heat race of the night. 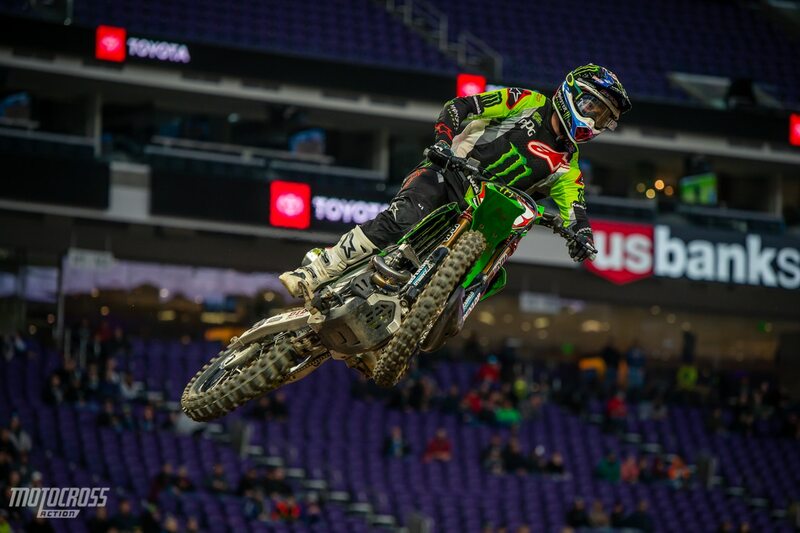 Eli Tomac looks good tonight. 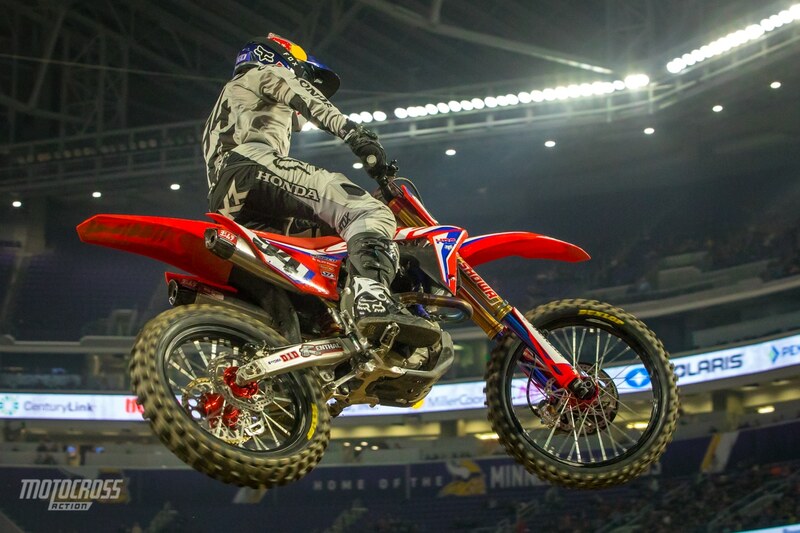 Ken Roczen is also looking good in Minneapolis, he placed third in the 450 heat race.